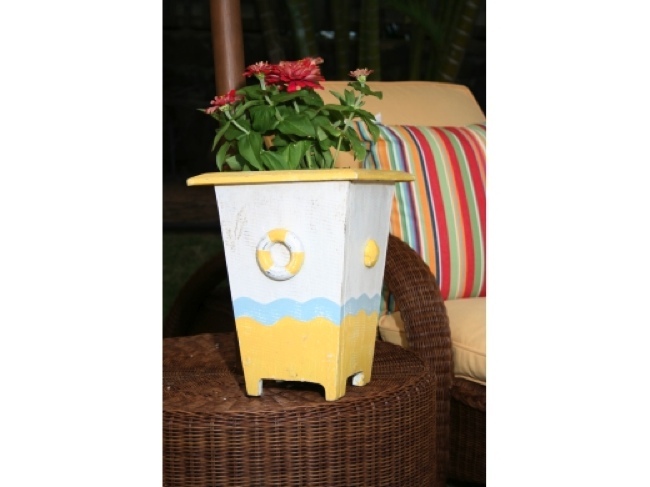 Here is a beautiful wooden planter white and yellow ! This nautical decor planter can also be used as a bin in your bathroom office or bedroom. Specifications: - Size: 12 high - Wood: white and yellow rustic nautical Perfect nautical decor for your cottage or beach house!